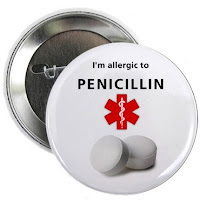 The medical alerts are a great idea and are available in buttons and keychains. My children would be covered if there was one for epilepsy but Creative Clam takes custom orders so that's not a problem. Next time you want a button, keychain or a magnet, check out Creative Clam and don't forget to look at all the products for sale! Creative Clam offers original paintings, pet sketches, ACEO Art Cards and a clever collection of buttons, keychains and fridge magnets, and beautiful handbags/purses made from recycled clothing for purchase from Virginia Beach artist Tracey Riedel. *I did not review a product and I did not receive any financial compensation in exchange for this review.